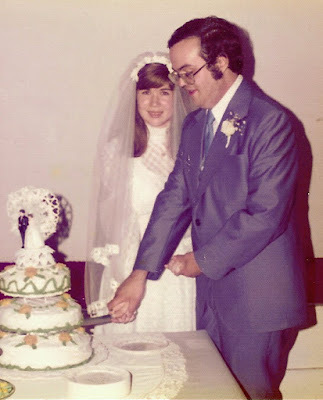 Rough Edges: Forty Years Ago Today . . . Happy Anniversary to you crazy kids. You did rock those sideburns! Happy anniversary to both of y'all. Forty! Wow! Congratulations to you both! The hard part's over. The next forty will be a piece of cake. I'll say it again! HAPPY ANNIVERSARY!